Charles Herty was born in Milledgeville, Georgia. 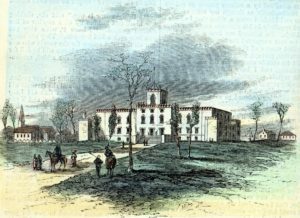 Capitol at Milledgeville, Georgia, in 1865. From the GHS Collection of Etchings, Silhouettes, and Prints, MS1361PR. Charles Herty graduated from the University of Georgia. He earned a Bachelor’s Degree in Chemistry. Portrait of Charles Herty, circa 1900. From the GHS Photograph Collection, MS1361PH. 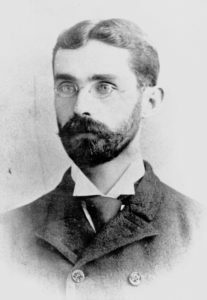 Charles Herty graduated from Johns Hopkins University in 1890. He earned a Doctorate in Chemistry. Herty became a chemistry professor at the University of Georgia. You can read his doctoral thesis “The Double Halides of Lead and the Alkalies” on the Internet Archive. In the Fall of 1890, Charles Herty introduced football to UGA. He learned about the game while studying at Johns Hopkins. Herty also helped organize the Athletic Association and raise money for organized sports at UGA. He worked at UGA until 1902. Charles Herty introduced a cup and gutter system for collecting resin from pine trees. The resin was used to make turpentine and other products in the naval stores industry. Herty experimented with the new system in Statesboro, Georgia. His cup and gutter system did not hurt the trees as much as the old boxing system and allowed the trees to be used much longer for turpentine production. It also helped get more resin from the trees and did not cost a lot of money to implement. 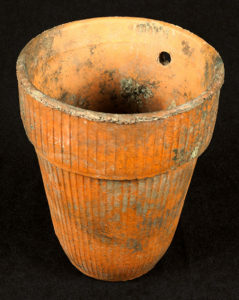 The cups used to collect resin are called Herty Cups. Ceramic Herty Cup. From the GHS Objects Collection, A-1361-374. “A New Method of Turpentine Orcharding,” 1903. Washington, D.C.: U.S. Dept. of Agriculture, Bureau of Forestry. 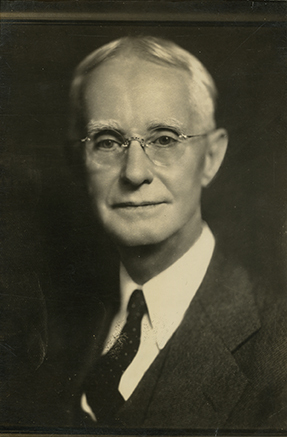 Charles Herty began working for the U.S. Bureau of Forestry. His job was to make his cup and gutter system perfect and to show others how to use it. Soon, most turpentine gatheres in America used Herty Cups. 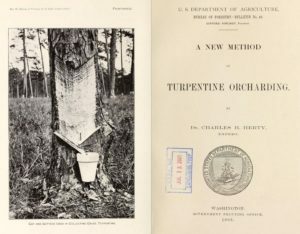 Read the pamphlet “A New Method of Turpentine Orcharding” by Charles Herty on the Internet Archive. Charles Herty became a professor of chemistry at the University of North Carolina at Chapel Hill. He taught there until 1916 and conducted valuable research on how to use pine trees to make various products. Charles Herty was elected president of the American Chemical Society. You can read the Journal of the American Chemical Society from 1915 on Google Books. 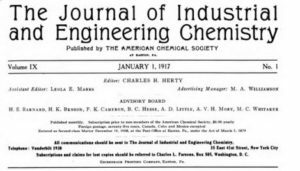 Charles Herty was editor of the Journal of Industrial and Engineering Chemistry from 1917 until 1921. It was a popular journal read by people all over the country. Herty used his position to encourage chemists to help America during World War I. He believed it was important for businesses, government, and universities to work together so that the military had all the materials it needed to win the war. For example, Herty did not think it was a good idea to purchase items like munitions, pharmaceuticals, and textiles from foreign countries. He also supported creating the Chemical Warfare Service. You can read every issue of the Journal of Industrial and Engineering Chemistry from 1908 until 1922 on HathiTrust. 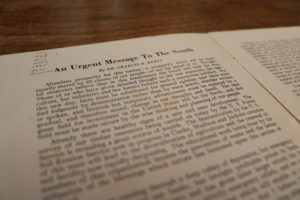 Herty wrote a short article titled “War Chemistry in the Alleviation of Suffering” in the September 1918 issue of the Journal of Industrial and Engineering Chemistry. Herty argued that America needed a research institution that would make it easier for chemists and medical professionals to work together testing new medicines. Herty’s influence helped establish the modern National Institutes of Health. You can read the article on HathiTrust. Herty became the first president of the Synthetic Organic Chemical Manufacturers Association. He was president until 1926. You can learn more about SOCMA on its website. Herty became an advisor to Chemical Foundation Inc. He was assigned the job of working with Senator Eugene Ransdell to pass legislation created the National Institute of Health. 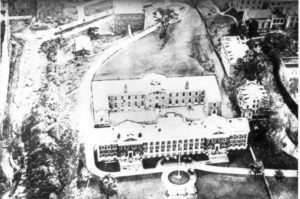 Passed in 1930, the Ransdell Act reorganized and expanded the Hygenic Laboratory and gave it the new name National Institute of Health. You can read a PDF of the legislation provided by the Office of History at the National Institutes of Health. Exterior of two buildings at the National Institute of Health’s Washington D.C. campus which were built between 1930 and 1932 after the passage of the 1930 Ransdell Act. Courtesy of the Office of History, National Institutes of Health. Herty started focusing on helping improve the economy with chemistry. Herty was most interested in helping the South where he was born and educated. Herty gave a lot of speeches and wrote a lot of papers about the importance of chemistry to our everyday lives and to the economy. He also served as a consultant to state and local governments in an effort to increase investment in chemical industry. Herty opened the Savannah Pulp and Paper Laboratory. His goal was to start newsprint businesses in the South using pine trees. Herty believed that paper could be made from fast-growing young pine trees. Most people thought the pine trees were too soft and gummy. At the Savannah Pulp and Paper Laboratory, Herty proved that you could make paper from young pine trees using an acidic sulfite solution to digest the wood. Dr. Herty’s Experimental Paper Lab, Workers Unload Paper Rolls, 1933. From the Foltz Photography Studio Photographs, MS1360. 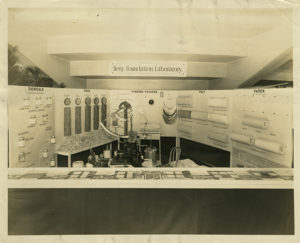 Dr. Herty’s Experimental Paper Lab, 1932. From the Foltz Photography Studio Photographs, MS1360. 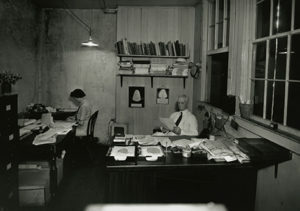 Dr. Herty in Office with his Secretary. From the Foltz Photography Studio Photographs, MS1360. Dr. Herty’s Experimental Paper Lab, 1935. From the Foltz Photography Studio Photographs, MS1360. 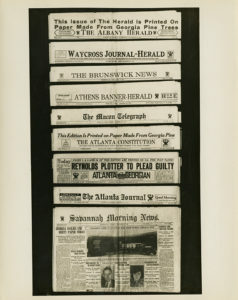 Papers Printed on Georgia Pine Paper, 1936. From the Foltz Photography Studio Photographs, MS1360. 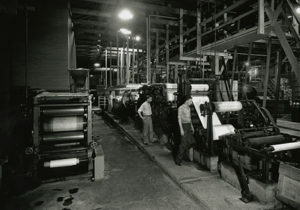 The Soperton News printed its weekly newspaper on experimental paper made at the Savannah Pulp and Paper Laboratory. Other newspapers around Georgia did the same thing over the next few years. Herty died in Savannah after suffering a heart attack. A few weeks before his death, Herty learned that plans were being finished to start the first southern newsprint mill in Texas. The newsprint mill would use the research Herty conducted at his laboratory to make paper pulp from pine trees. Today, the paper and pulp industry is very important to Georgia and the entire southern region. There are twelve pulp mills in Georgia and the paper and pulp industry contributes billions of dollars to the economy and employs thousands of Georgians. Return to Charles Herty’s homepage.